Take Your Restaurant To Go. Upserve Live puts your restaurant management software in your pocket so you can be in control wherever you are. Track sales, labor costs, discounts, guest behavior, 86’d items and more. Stay online, even when you’re off the line. Want to see your sales stats for the night? Curious which servers are killing it or what got 86ed? 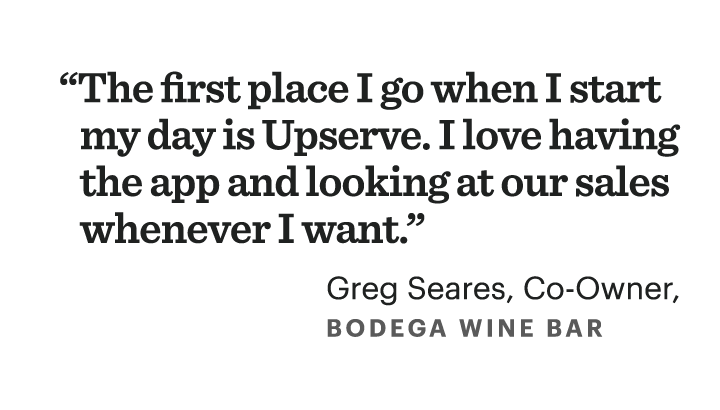 Upserve Live is an iOS and Android app designed to give you full access to your restaurant’s performance in the moment, no matter where you are or when you click. Upserve Live organizes key information from the Upserve POS and combines it with advanced analytics from Upserve HQ in a single app. 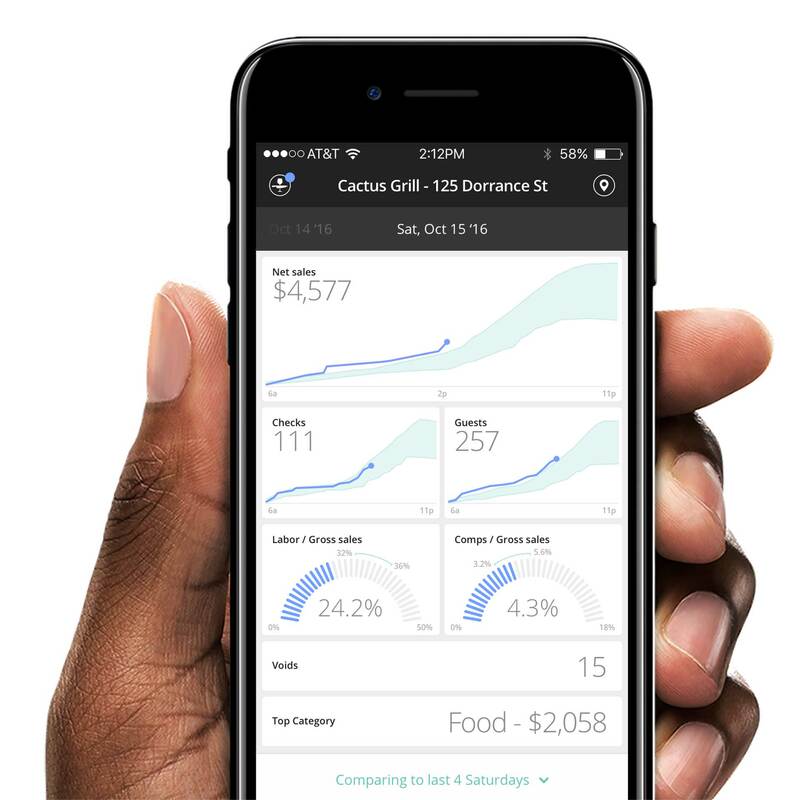 Restaurateurs can see live tracking of guests, sales, labor costs, discounts and comps, historical performance, and 86’d items, all in real-time, for one or multiple locations. Upserve Live is the always-on so you don’t have to be. Regardless of how many restaurants you own, insight into their performance is instantly accessible from the best point of sale system on the market. Now you can know exactly what’s happening across all of your restaurants – no matter where you are. Restaurateurs can’t rely only on past performance. They need to track and respond to needs as they happen, which usually means defaulting to staying in the venue (or multiple venues) all the time. When it comes to labor, that can be challenging, especially if you own more than one location. Labor is one of the biggest costs in your restaurant, and the difference between 29% and 34% could make the difference between a profitable service or a loss. And if you don’t act fast, poor service could be costing you serious cash flow. 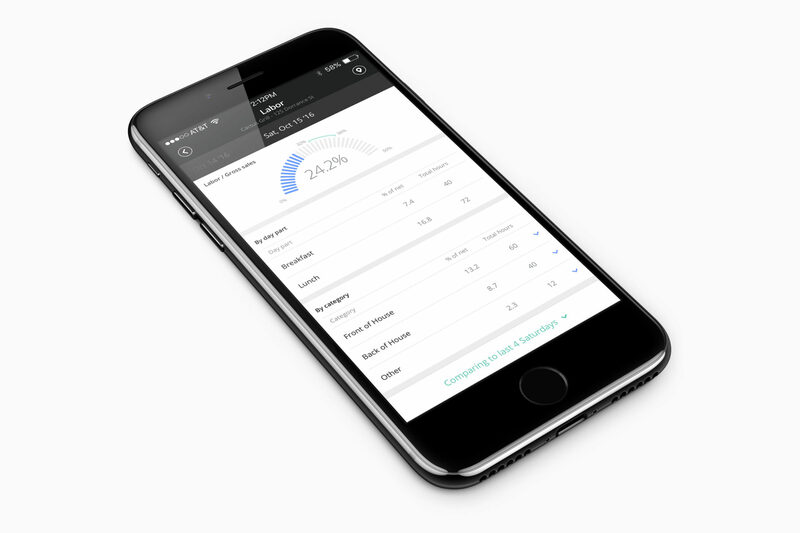 Luckily, choosing the Upserve POS mobile app puts server performance information right in your fingertips. You can check in while staying in, and see how the day or shift is performing and compare those metrics to past performance in one mobile app. You deserve a restaurant point of sale app that lets you communicate directly from your smartphone. 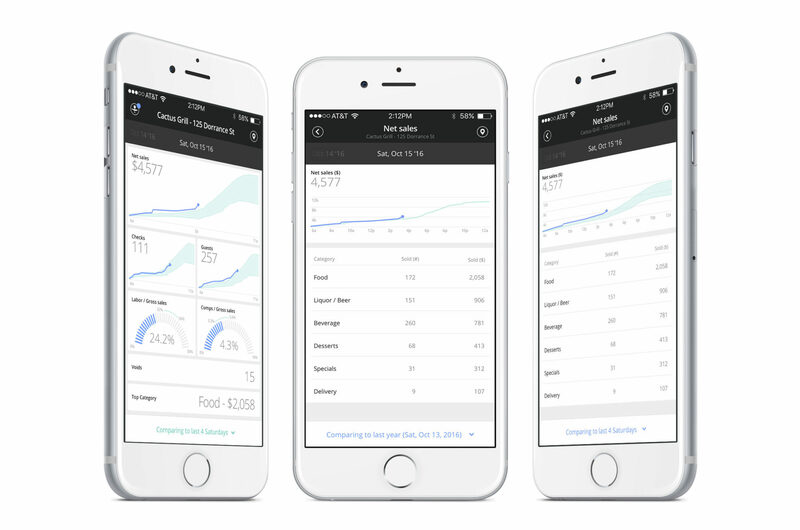 Tune into the app and access real-time insight into problems on the floor, both big and small. Then, do your duty to solve them accordingly, even if you’re nowhere near the office. Make suggestions to servers, bartenders and back of the house staff, then get feedback and answer questions to keep everyone on the same page. Look back to move forward. See how sales and costs today compare with those of the past. Apply sales intelligence to your daily operations in order to grow margins, empower staff, and surpass guests’ expectations. Upserve Live’s software lets you click into past performance on any day and see instant results. You can also gain real-time analytics and reporting, minute by minute or hour by hour. Busy nights and brunches have never been easier. Owners and operators of multiple restaurant groups are constantly bouncing from location to location in order to see how things are going and track sales, guests and costs. This steals time and puts them in danger of burnout. Whether you’re across town or across the country, Upserve Live gives you a real-time view of each restaurant location in one app. 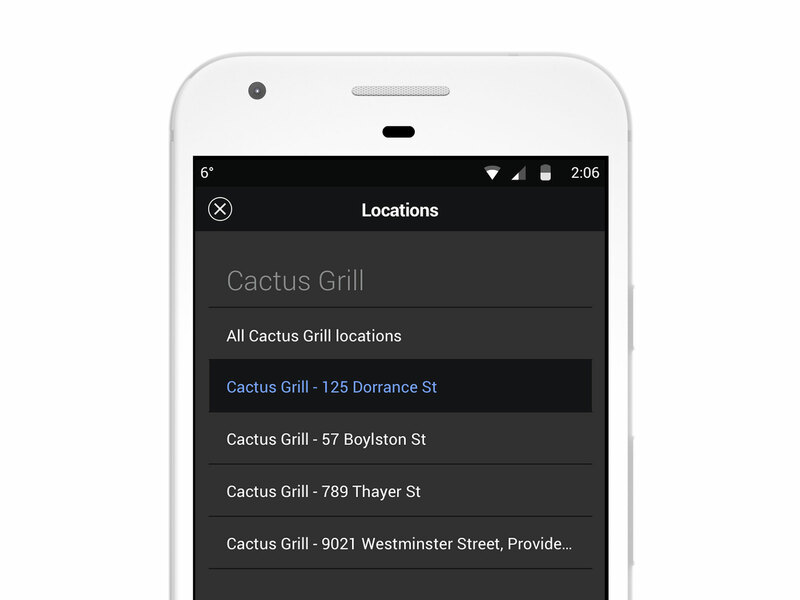 Instead of visiting a WiFi-only website or managing multiple logins, analytics for your restaurants are just a tap away with our restaurant POS app. With a single app, you can see real-time results from your point of sale, payments and Upserve HQ’s intuitive analytics without having to jump from venue to venue or login into multiple apps. You now have instant access into each restaurant’s status and you can see which one is performing best, and why. Our point of sale app for iPad lets you finally achieve peace of mind, so you can go on vacation, spend time with the family, and do all the other things you love. Discounts, voids and comps are inevitable in the service industry, so why not put them right under your thumb? Upserve Live lets you see every void or discount — and the reason for each one — directly in the point of sale app. See what’s become comped, when, across servers, dishes or customers. Whether its a bad batch of cocktail mix or a sub-par plate of greens, you deserve to know what’s selling and what’s being sent back. Upserve Live helps you notice negative patterns and identify serving issues, so you can save yourself a pretty penny. You use your smartphone everywhere you go, so why wouldn’t you choose a POS mobile app that works with your lifestyle? The Upserve point of sale app is designed for the restaurateurs, managers and service staff of the modern age. 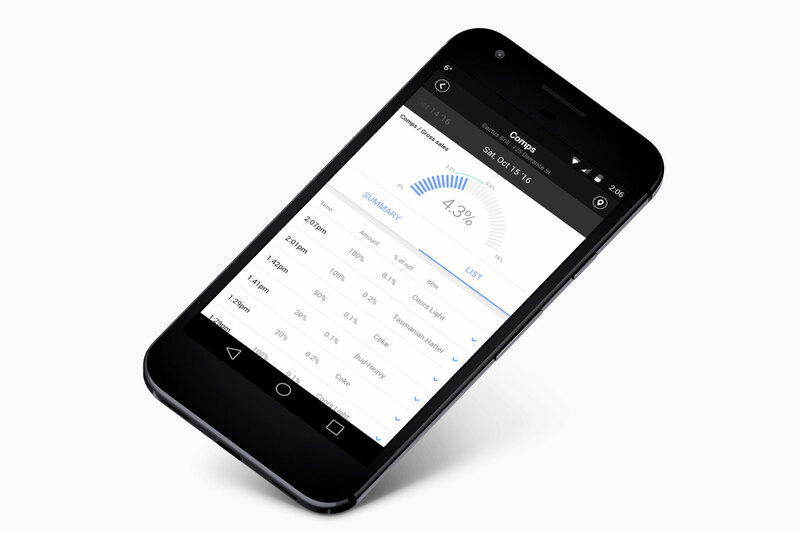 Our app is intuitive, making it easy to learn and use for servers of all experience levels. And even when the internet goes out, Upserve POS’s app syncs all of your checks, payments and table counts in offline mode. Upserve Live is the always-on so you don’t have to be.